← QMX Millennium Falcon cut away model. Rebelscum recently reported that Disney and Lucasfilm have releases a new line of collectibles called “Ultimate Collectibles” from the Prop Shop. They have a license to sell various prop replicas from the Star Wars: The Force Awakens. I didn’t take much notice at the time as all the props were mainly masks and lightsabers and there weren’t any Millennium Falcon related items in the initial line up. 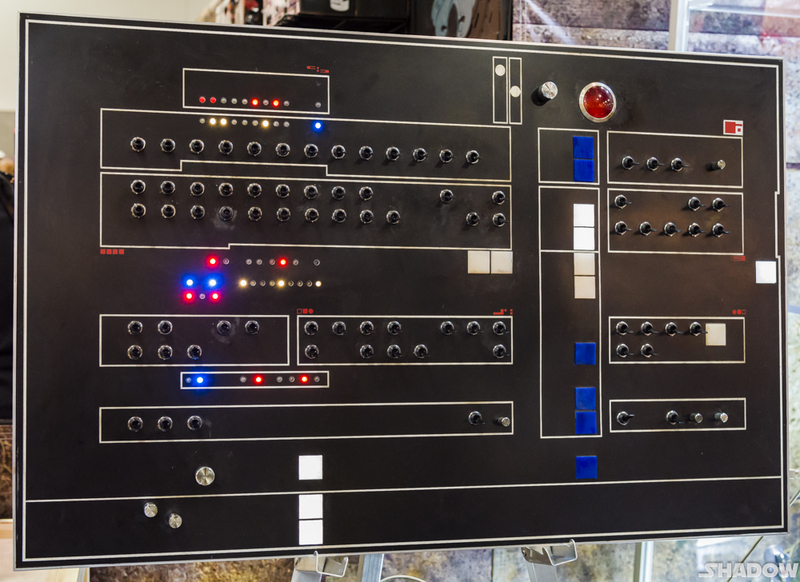 These photos from this year’s San Diago Comic Con posted by Shadow on the RS Forums show some sort of Control Panel relating to the Millennium Falcon. As with the other Ultimate Collectibles stuff, it looks well made and is a fair size at approximately 4 foot by 3 foot. Still, It’s a really random item to be honest and i can’t think why they chose this to create a prop replica. Estimates are that this will be circa $4, 000 so i am well and truly passing on this. This entry was posted in High End Collectables, Things that i don't have yet..., Ultimate Collectibles and tagged Millenium Falcon, Millennium Falcon, Star Wars. Bookmark the permalink. I just find it a really wierd item to produce as a prop replica.Surely there must be other, much better parts of the Falcon that can be sold as prop replicas. ditch a few examples, like what? The dejarik table would be awesome.